The college has a Central library and various department libraries. 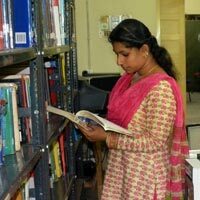 The department libraries contain books relating to the respective subjects and are under the control of the Heads of Department. The central library contains a large stock of books related to numerous subjects and literatures. Students can borrow two books at a time and shall return it within the prescribed duration of time. Spoiling and damaging books invoke penalty. A lost book shall be replaced or the fine remitted. Copies of each of the leading newspapers are subscribed in order to cater to the needs of both male and female students separately at the two library wings. Students are advised to use the reading room when they do not have class. Periodicals and papers shall not be taken out of the reading room. Silence shall be maintained in the reading room. Reference books can be borrowed for a few hours. Days/ Classes of students will be notified by the librarian. 5 books can be borrowed by teachers at a time. 3 to 5 each by non teaching staff and students at a time. Books taken for 14 days can be renewed for one more time. Books can be reserved in advance. The Principal or the Librarian may recall any book from any member at any time without assigning reasons. The Principal has the right to amend or add to existing rules at any time during an academic year. If a book is lost, it must be replaced at once or duly compensated for. The University proposes to help the students through the Help-Desk by providing information via permanent notice board, Internet etc. Every help-Desk group would consist of one Teacher, Co-ordinator and 5 students. The Help-Desk would serve as an interactive medium between the colleges and the university. The Centre arranges vocational guidance talks and informs the students about the new avenues and future prospects. Students will be responsible for any breakage or loss of the apparatus used in the lab. Students shall not take any chemical or instrument from outside into the lab or take out any instrument or chemical from the laboratory. Student shall strictly follow the safety rules and regulations while in the laboratory. There is a separate forum for co-ordinating research and extension activities initiated from the college. 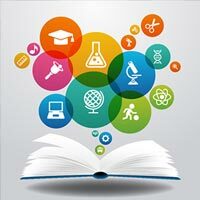 The forum ensures inter disciplinary research and provides guidance for teachers interested in taking up major and minor projects under the various UGC programmes. All teachers serving and retired and interested PG students are members of the forum.The Research forum conducted Research Aptitude Workshops for the benefit of the teachers from all over the state. The management also conducts workshops for teachers who are interested in research. The management & the head of the institution offer active support & guidance for availing the Faculty Improvement Programme (FIP) organized by the UGC. 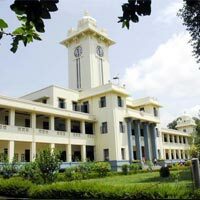 The PG & Research department of Zoology is an accredited research centre of the University of Kerala. The college offers extension service to the outside community especially in socially relevant matters. Some of the PG departments have undertaken research projects of such nature. Extension activities useful to the rural community especially the local farmers have been provided by most of the departments. In order to carry out these programmes the college has established linkages at various levels with regional, national and international institutions. The college hostel for women has 26 rooms (dormitory type) and 75 inmates. The hostel is provided with recreational facilities like television, reading and to engage in cultural programmes during festival days and on annual occasions. The College Canteen functions smoothly and supplies snacks and meals to the students and staff at concessional rate in a clean atmosphere. Weight training equipments including “12 station multi gym”. 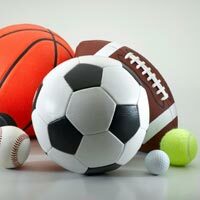 Items for daily practice like foot ball, volley ball, cricket, etc. Imparting knowledge to gain wisdom and to liberate the individual from all bondages to build a better world. The Bhagavat Gita Smriti. "Sreyohi Njanam Abhyasath" - Knowledge indeed is superior to constant practice - inscribed in the college emblem embodies the vision of the college. Educate and illuminate the young generations to build a strong and progressive nation where the rich values and traditions are upheld. to develop good character and personality and become citizens who are assets to society. Through academic excellence, development of skills and character formation, the college hopes to produce committed and inspired young men and women with a holistic approach to life.